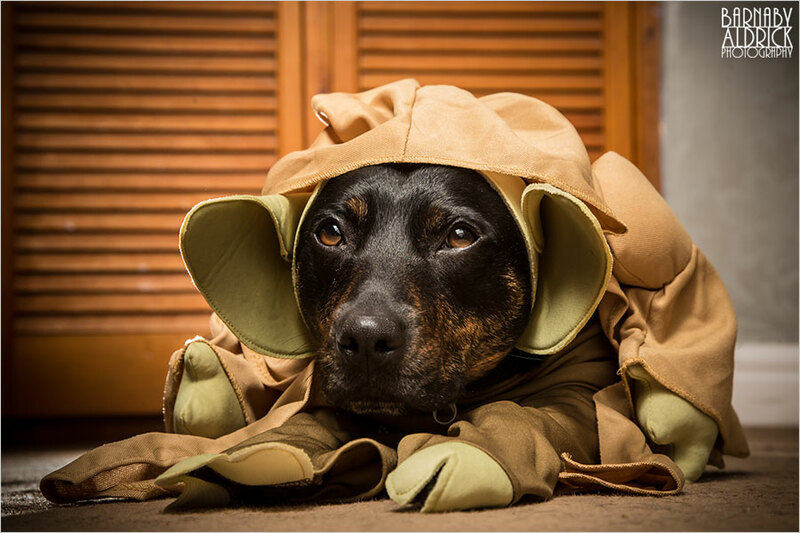 Star Wars Pet Costume - May The Forth Be With You ! May The Forth Be With You! 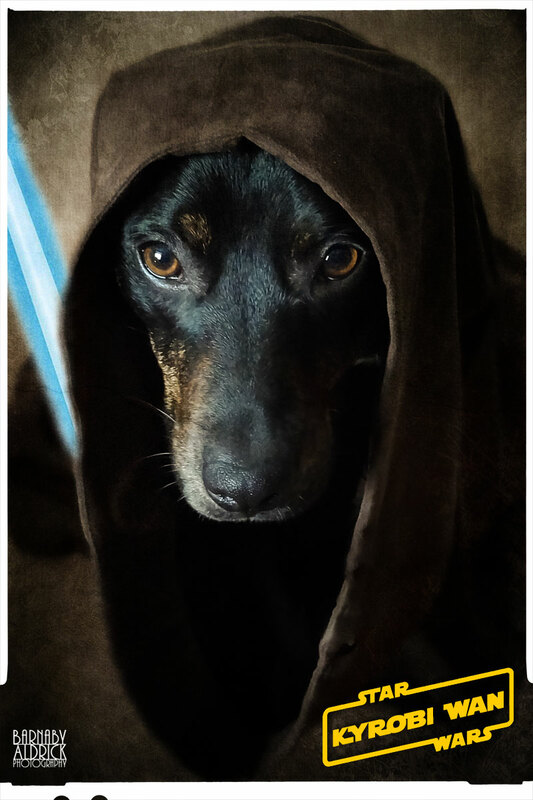 – Happy Star Wars Day from Kyra in this year's Star Wars Pet Costume! When my lovely little rescue pooch came into my life, we guestimated her birthday to be around the start of May. 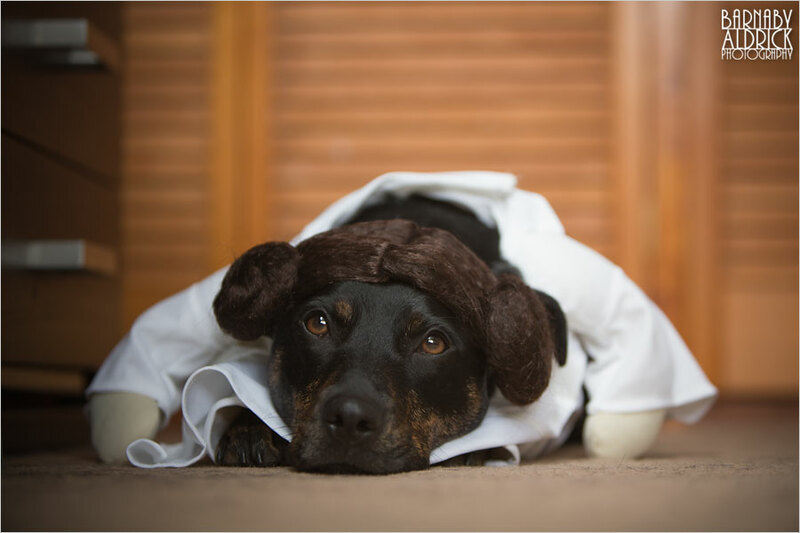 She told when we met that she simply LOVES getting dressed up, so we mutually decided that it would be hugely fun if her birthday was on ‘Star Wars Day’, May the 4th, so she could dress up as her favourite Star Wars characters! 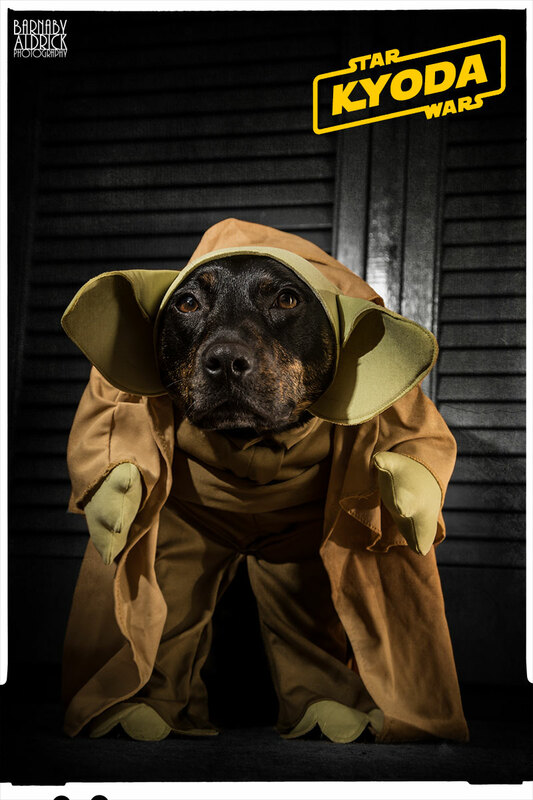 She’s been various characters already, but this year she suggested we rock the official Lucasfilm Yoda Dog Costume! See how she’s really in character with the hunch and all. 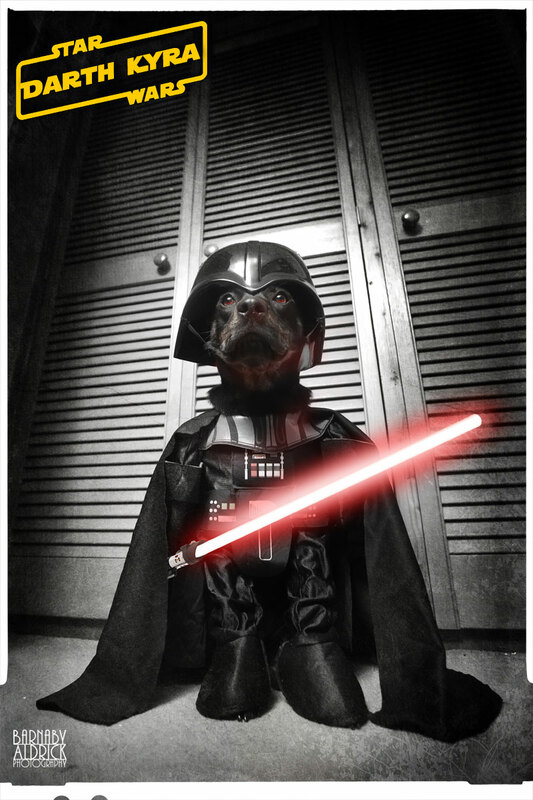 This was my first and favourite attempt, in the official Darth Vader dog outfit… as Darth Kyra! I think she finds it confusing that I am her father. 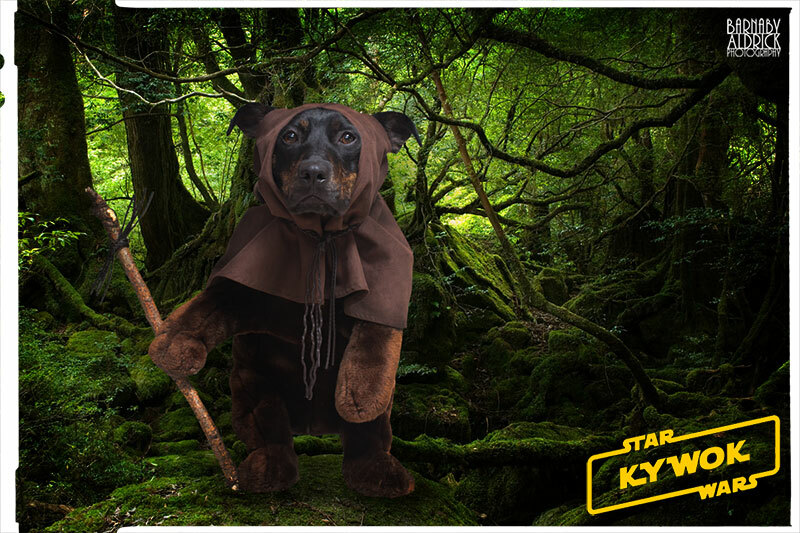 We homemade this costume of an Ewok out of a stuffed teddy and a skirt for Kywok! Google tells me Ewoks speak Tagalog, but I’m not fluent, so can’t make any relevant direct quotations. She likes the bribes I give her more than the process. She was very suspicious about being an Ewok. And Yoda become a little humiliating after a slice of bread. 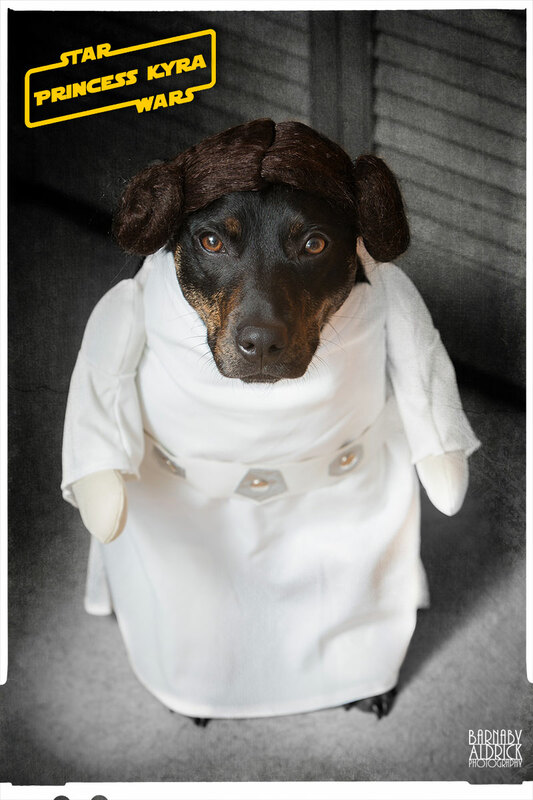 I can’t see what her problem is really; what’s not to love about dressing up as Star Wars characters? 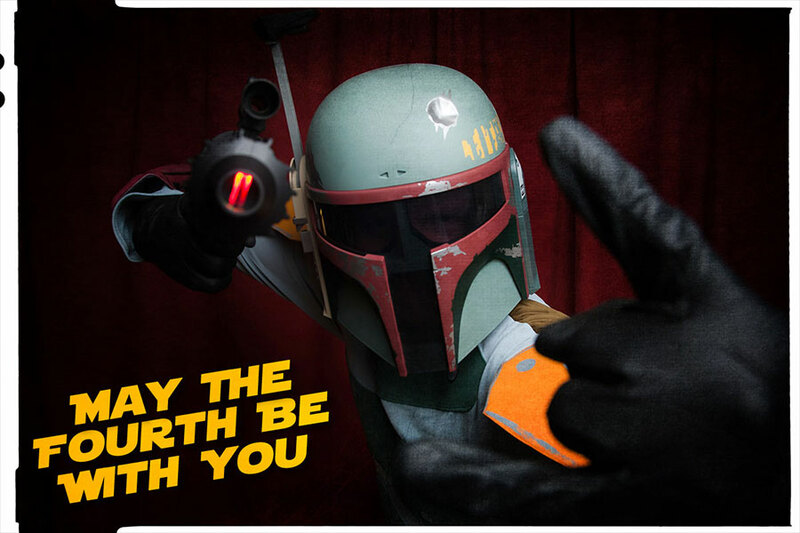 May I wish you all a very Happy Star Wars Day! ps. Ideas for next year?! 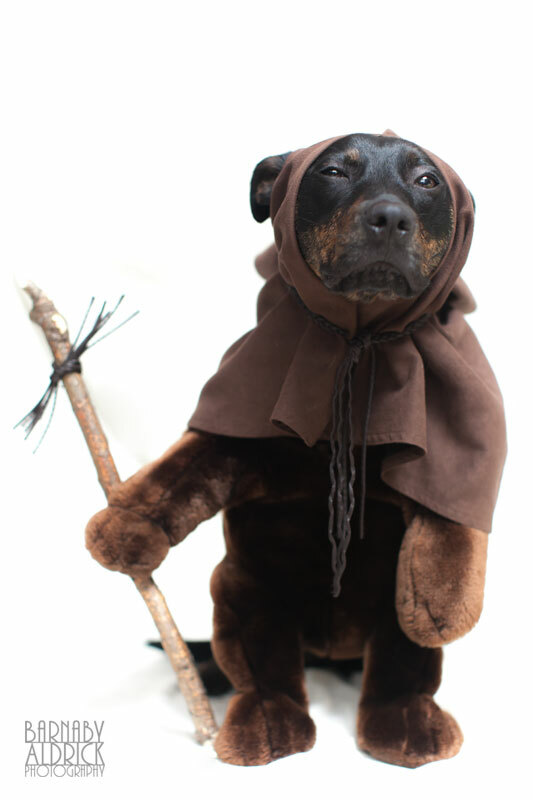 Happy Halloween folks // Dog costumes all round!